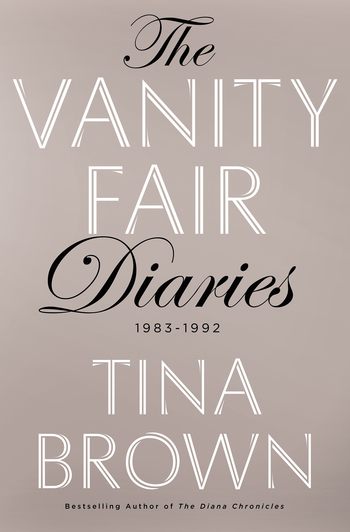 “There has been fevered speculation about Tina Brown’s diaries for decades . . . Well, here they finally are—and I read them in one six-hour sprint of pure pleasure and joy. These are the most compelling media diaries since Piers Morgan’s The Insider but with a tonier cast of characters, indiscreet, brilliantly observed, frequently hilarious . . . Her turnaround of the relaunched Vanity Fair in the mid-Eighties is the stuff of journalistic legend—an electrifying, glitzy, gritty triumph—and these are the years covered by these diaries. And it's all here: the Demi Moore naked and pregnant front cover, Claus von Bulow photographed in black leather, Donald and Ivana Trump, the whole sweep of Eighties Manhattan reported at first hand in Tina’s fresh, beady, borderline-paranoid style . . . As a primer for how to edit a hot magazine, there is much to learn here . . . Tina encounters it all, and deals with it."